Cover for Atlantis Bam Bam?? I'm planning today to pull the trigger and buy a 7'2 Bam bam up the sunny coast after a few hours sleep ( gotta love being a shift worker). I can't wait any longer and have scrounged the $$ (don't tell the mrs!) and really keen now, thanks for the advice Tim! Just curious from other bam bam users what they bought / use as a cover? I always like to get anew cover with a new board to look after it. 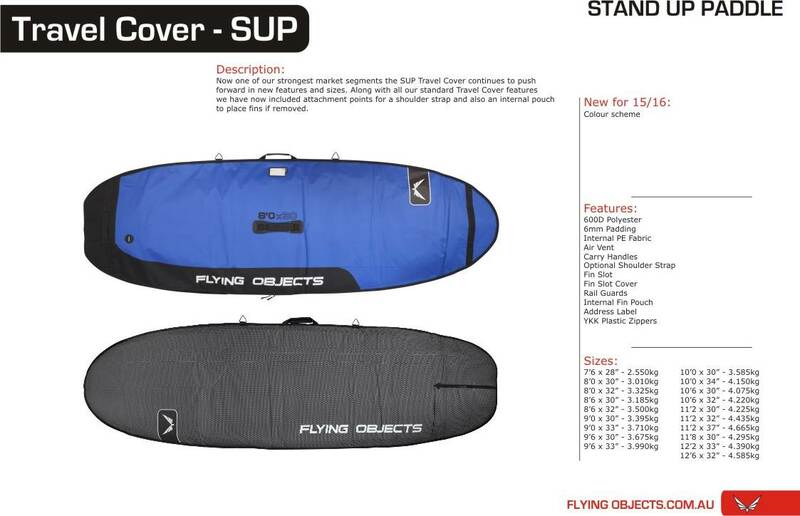 We make a broad range of SUP covers and have an 8'0 x 32 (RRP $210.00) that should fit the Bam Bam pretty well. Below is a list of our retail agents, if they do not have one in stock they can order one in for you as we have plenty of stock.